Are you a gamer? 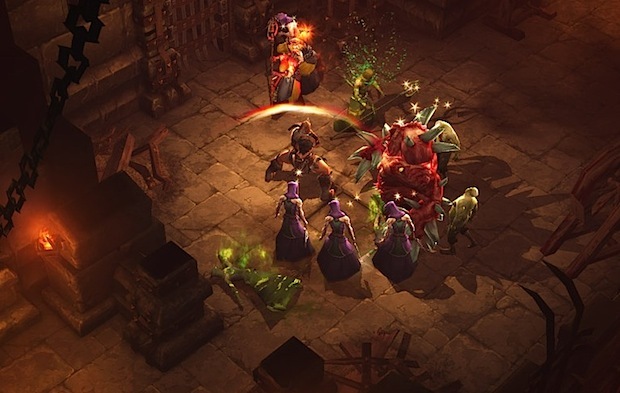 Toss your plans out the window for the next few days because Diablo 3 is free to play all weekend long. Dubbed an “open beta”, the free weekend is intended to help Blizzard load test the Diablo III game servers before the official public release on May 15. You’ll be able to play the game from today (April 20) at noon until Monday, April 23 at 10AM PST, with complete access to all five character classes up to level 13. Whether you’re a fan of the Diablo series or just Blizzard games in general, this is a great chance to get an early look at the game. Likewise, it’s also a good opportunity to see if you like Diablo 3 before shelling out for the full paid version when it comes out next month. scratch that, wants 16GB of disk space, WOWZA is an understatement! Also its been down almost all morning!!! Servers full, try again later! Want to play single player, offline?